The Barangay Ginebra coach admitted being 'crushed' upon hearing the sad news that longtime NBA and college coach Tex Winter, the brilliant mind behind the triangle offense, passed away on Thursday at the age of 96. "I'm so saddened by the passing o Tex Winter. He was a tremendous coach and teacher," said Cone. "He will always be remembered for the Triangle Offense, but to me his impact on the game was so much more than just that." of the perplexing offensive pattern Winter developed and successfully adopted by Phil Jackson with the Chicago Bulls and later, with the Los Angeles Lakers. Cone adopted the system with great success at Alaska and San Mig, winning a total of 18 championships including a pair of grand slam in 1996 and 2014. But more than being inspired by Winter, it was the down-to-earth manner of Jackson's most trusted liuetenant that really struck Cone the most. 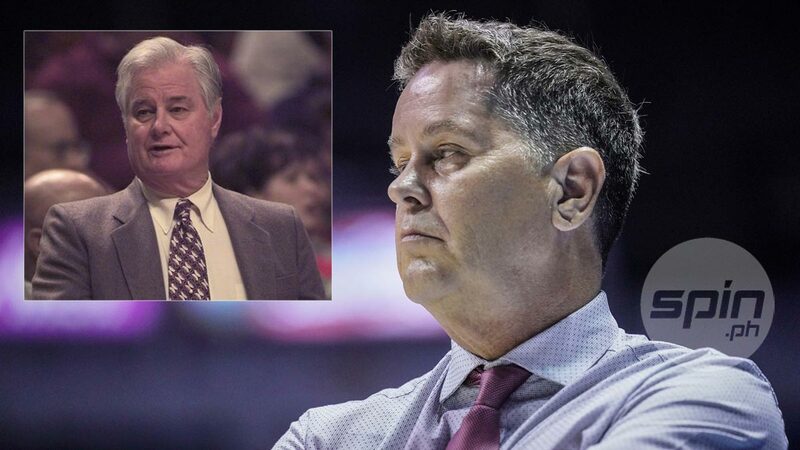 "Never understood why he (Winter) would allow a coach like me to hang out and learn from him," Cone posted on his Twitter account @manilacone moments upon learning of Winter's passing. "But wow, he really impacted my life. We will miss him forever," said Cone, who ended his post with with the hashtag #TexWinter. Cone developed a strong friendship with Winter, whom he will visit whenever he is in the U.S. He also hosted the veteran coach when he visited the country in the late 90s. "He shaped and honed my career and made me the coach that I am today," the champion coach said. "The question I always asky myself while I am coaching is always, "Would Tex be proud of the way I am going about things? "I hope that answer is always yes."